One-handed sander with a narrow rectangular pad (3-5/32″ x 5-1/4″) that allows for sanding on edges and frame members. Carbide guidance system keeps the blade perpendicular to the shoe for improved cut results, even in thick stock. Very cost effective and portable alternative to large stationary shop edge banding machines. The SysLite’s robust build and shock-resistant body is easy to carry and designed to perform when you need it most. Equipped with the EC-TEC® Brushless Motor, these low-profile, long-life, and low-vibration sanders can run all day with multiple shifts. The secret to a great finish lies in the use of the right pad and abrasive for the application at hand. With the new CONTURO Edge Bander, it’s just just as easy to apply edge banding on the job site as it is in the shop. Your work matters. Having the right tool for the right job matters, too. Festool makes power tools for craftsmen who demand unmatched performance and precision. You aspire to make each project better than the one before it, and Festool is there to help constantly push you forward. Each of their tools is German-engineered with careful consideration for what craftsmen need to be at the absolute top of their game. Festool products work well alone, but they work even better together — creating a system that allows you to work smarter and more efficiently. 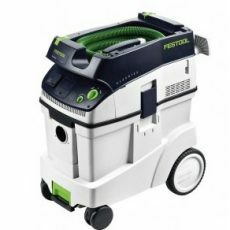 Festool stands behind their tools — offering a generous warranty and service plan and providing superior customer service — because they are committed to quality and committed to craftsmanship. To solve problems. Power tools that meet a need, streamline a process, or improve quality and efficiency. For the way work happens. From rough work to assembly, finishing and storage, they keep every function of the power tool in mind. With your comfort in mind. They limit the noise and vibration of their power tools, and carefully balance them to feel comfortable in your hands. To save time. Festool power tools are easy to use and adjustments are easy with tools onboard and features, such as our FastFix® blade and bit changes, StickFix® hook and loop abrasives, and Plug-it quick change power cords. For quality, reliability and flawless execution. 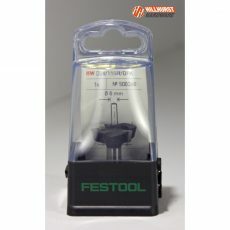 Festool measures quality in terms of microns and parts per million, to deliver parts that are 99.99% perfect! For healthier environments. Integrated dust extraction is designed into nearly every power tool we offer, keeping the work area cleaner and the air you breathe healthier. For portability. With their Systainer® system, you do not sacrifice quality for mobility. Systainers organize power tools and accessories and stack to create a mobile workshop. To work together. Their power tools feature an integrated system of design that allows them to work together more efficiently and effectively.